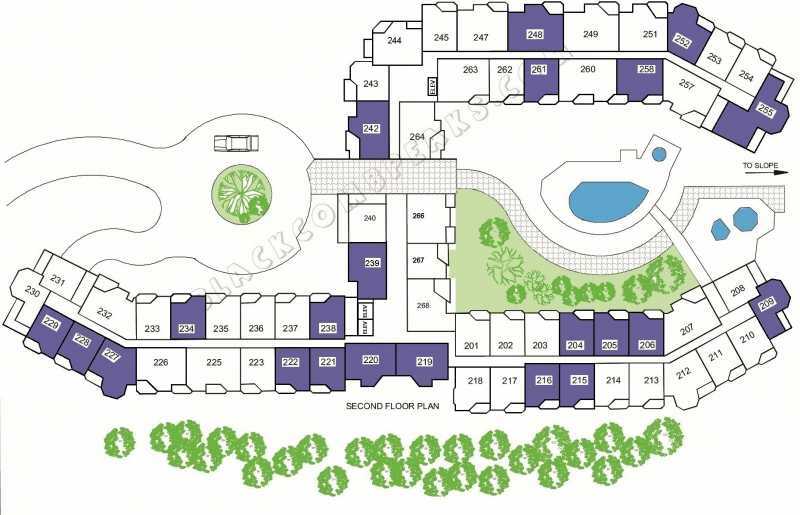 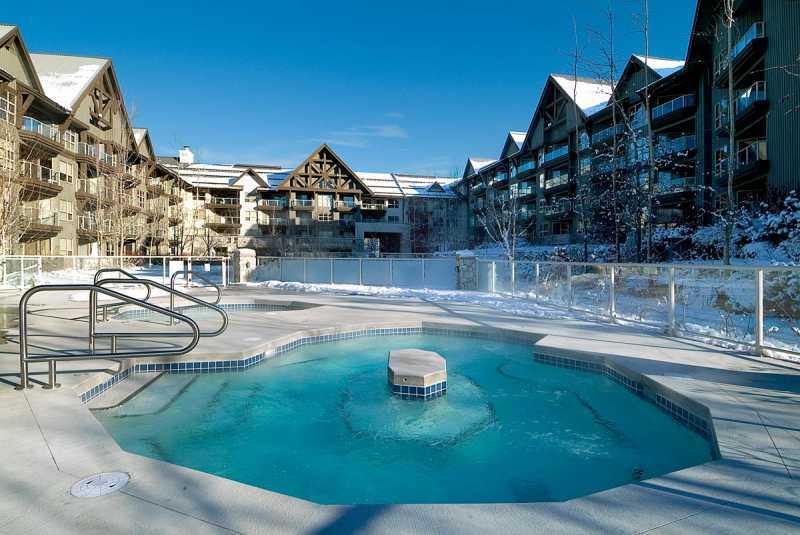 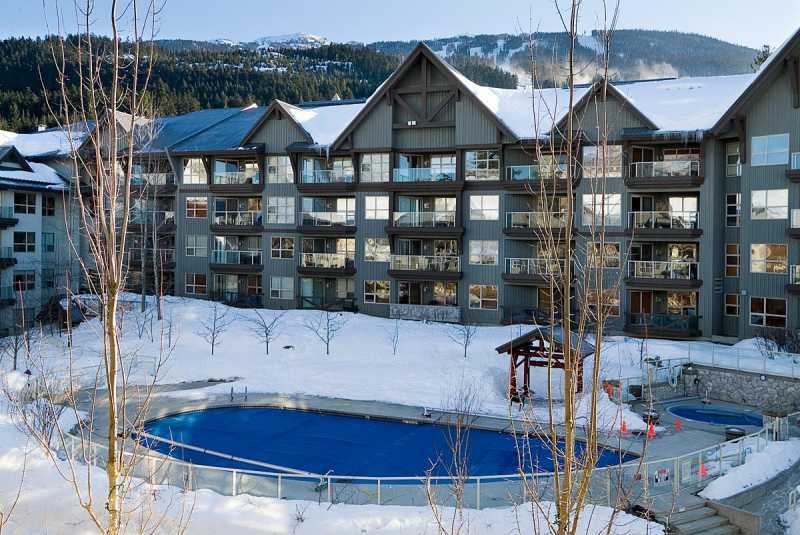 Ski-in/ski-out Whistler condo rental with slope-side view of Blackcomb Mountain, pool, and hot tubs. 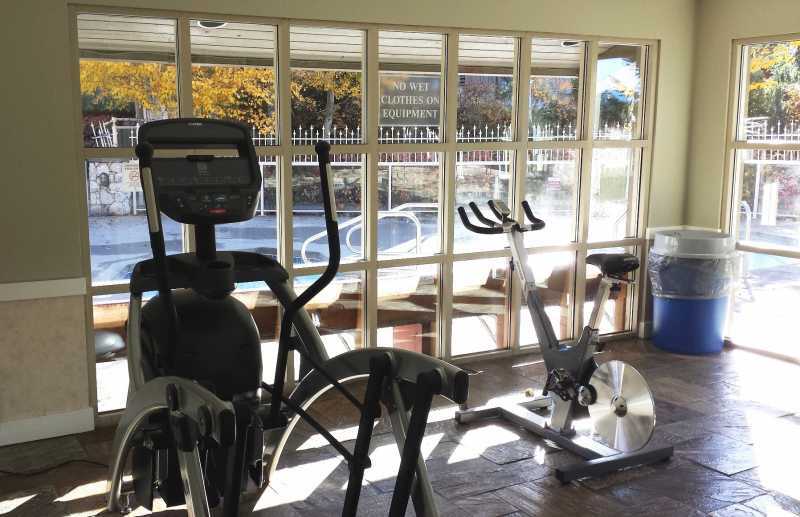 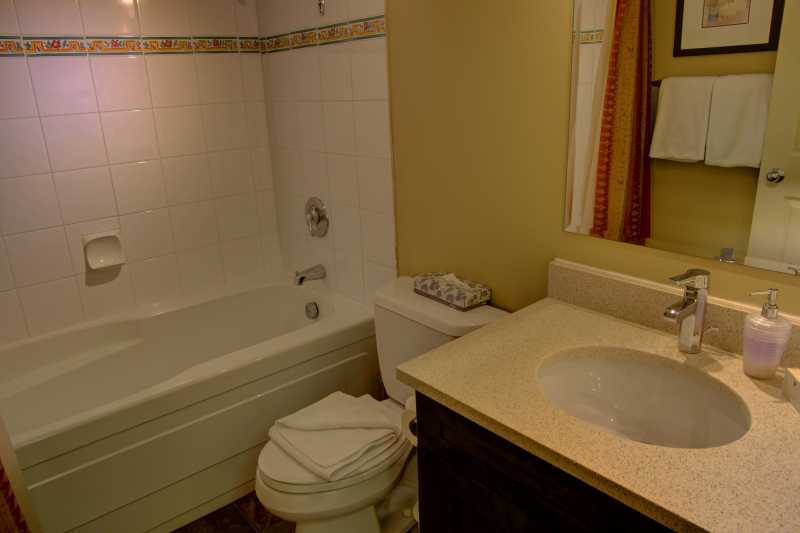 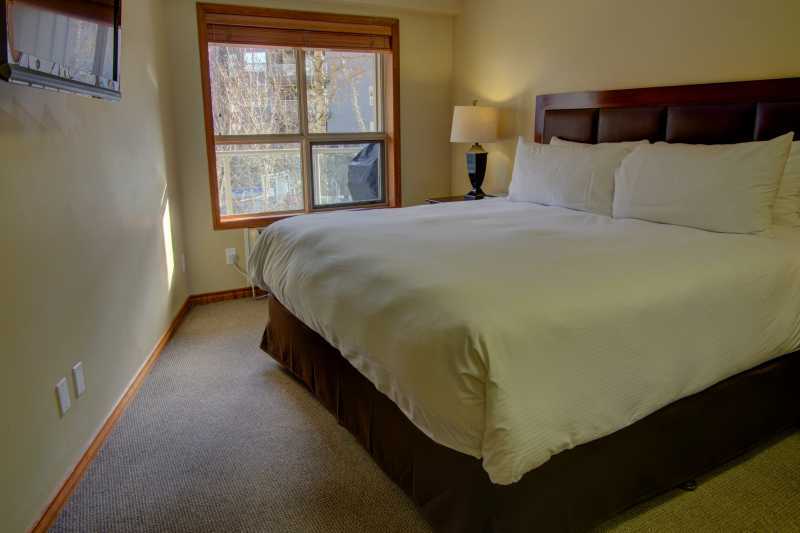 This second floor single bed and bath Whistler-rental is located at the Aspens Lodge and comfortably sleeps four with dividable mattresses a king size bed in the bedroom and a queen size pull out sofa bed in the living room. 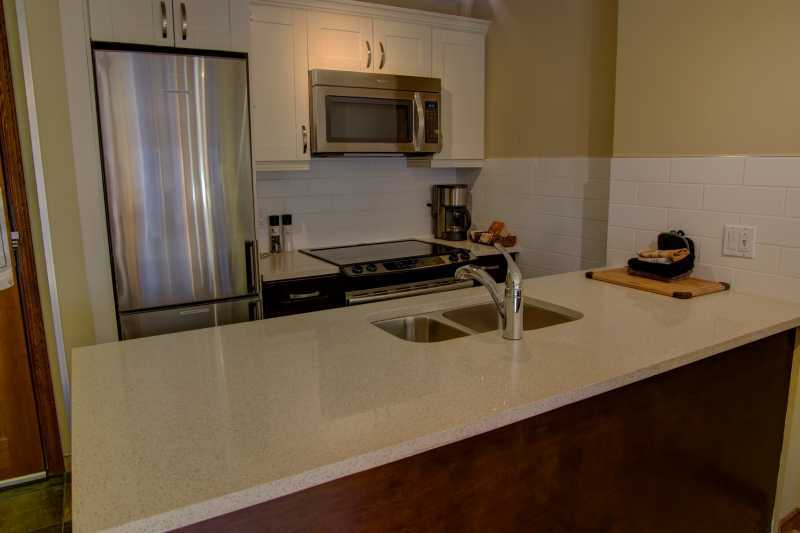 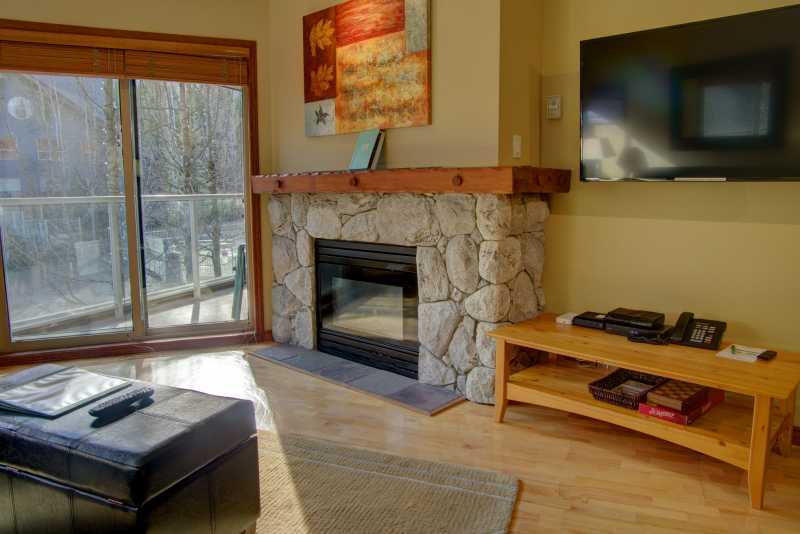 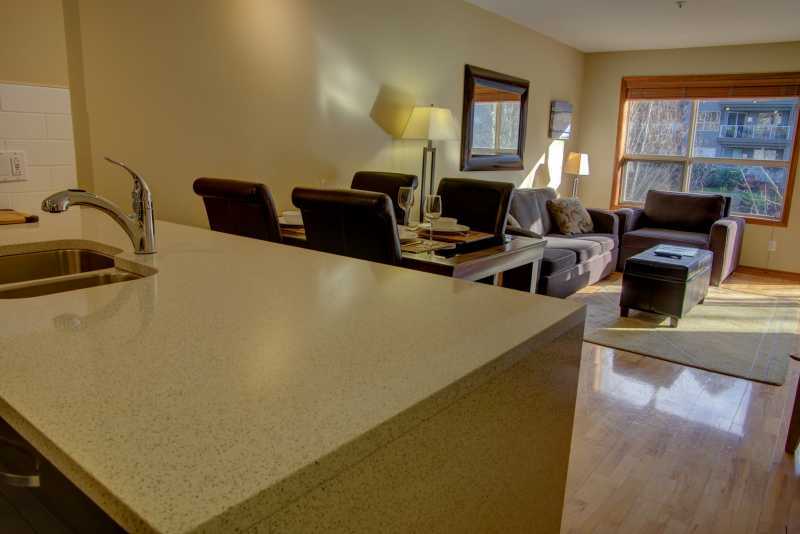 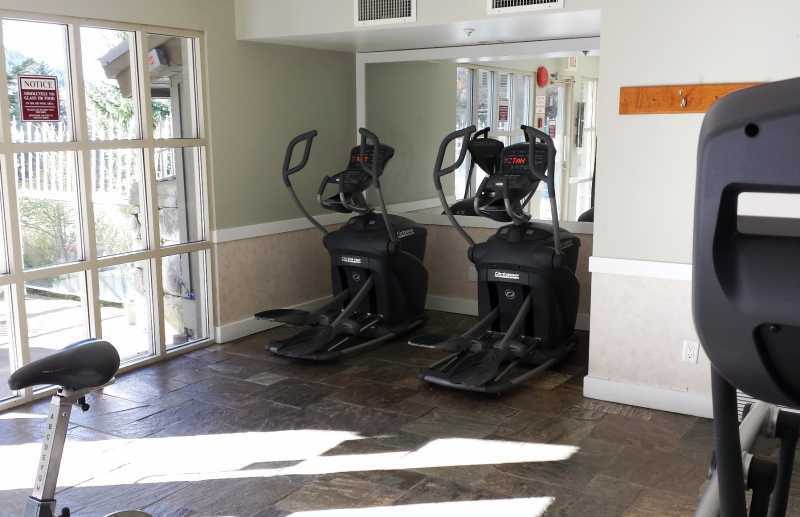 This Whistler ski rental features a remodelled kitchen, patio with BBQ grill, 2 flat screen TVs, a DVD player and free access to a gym check with guest services for seasonal hours, wireless internet, cable, and local phone calls. Blackcomb Village is a 5 minute walk away. 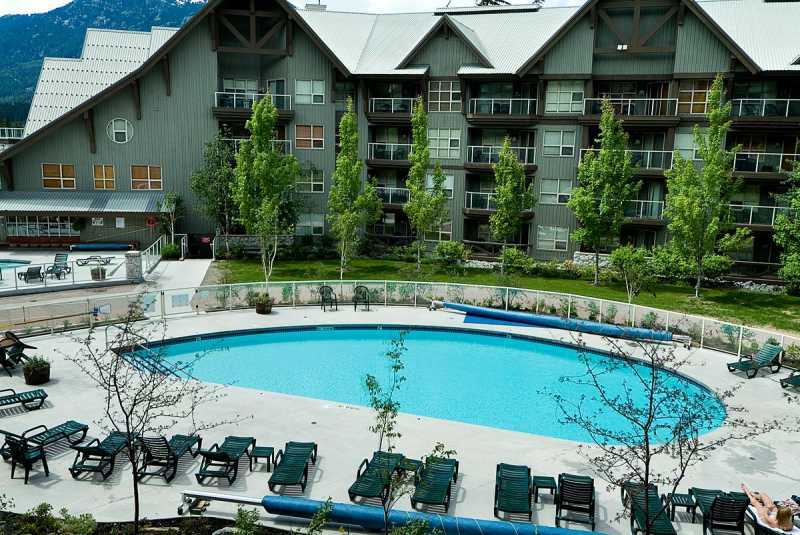 Whistler Village is accessible by foot, car, or bus in 10 minutes or less. 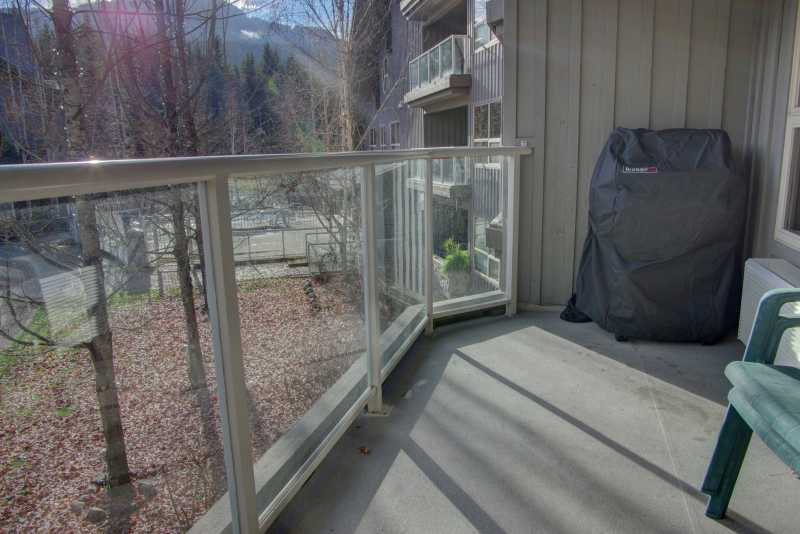 A garage parking space is available for a daily fee please check with guest services as the fee is subject to change it is 17 dollars Canadian as of 9/20/16 and accommodates vehicles that fit within the height of the 6' 6'' ceiling. 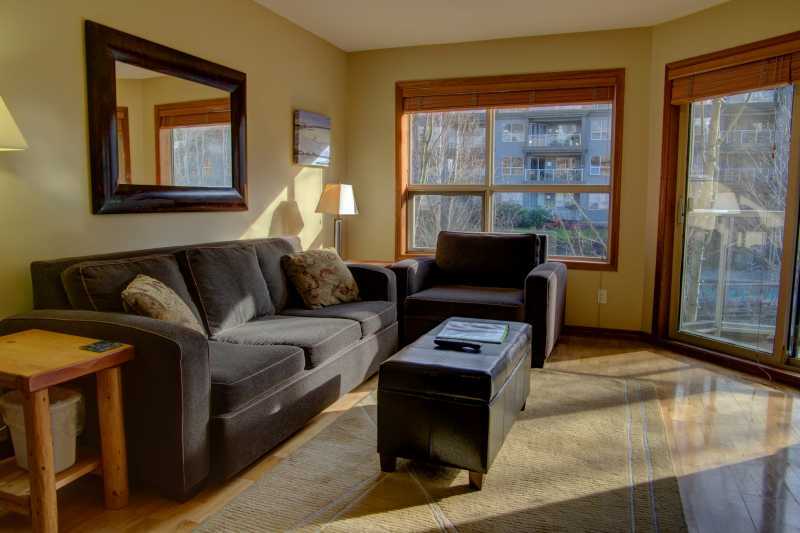 Please bring human guests only as pets of any kind are unfortunately not permitted in the building. 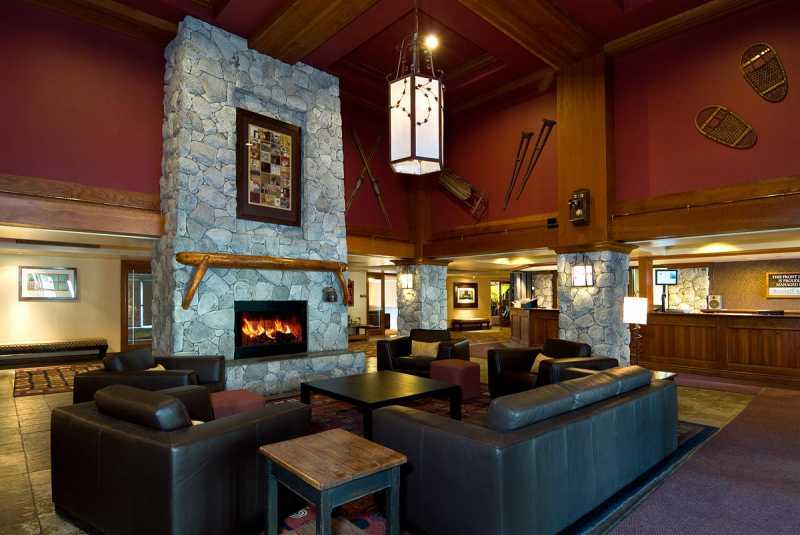 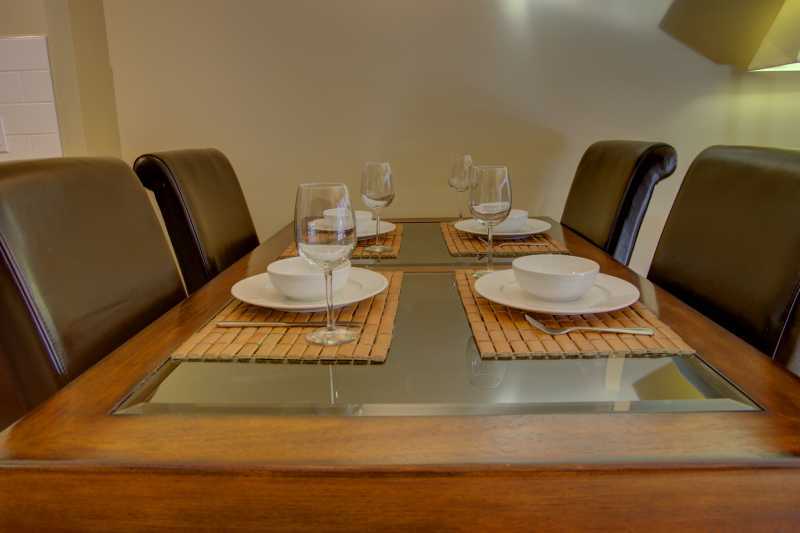 We welcome you to our Whistler vacation rental and we hope you enjoy your stay in any season.